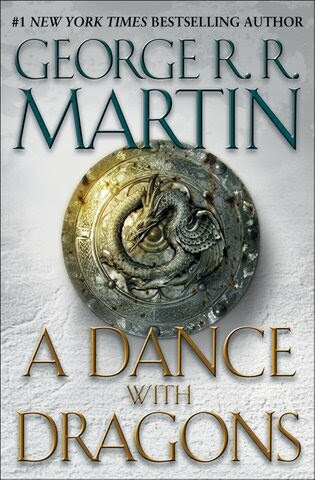 Book five in George RR Martin's A Song of Ice and Fire starts as a mirror to it's predecessor, A Feast for Crows. Tyrion, Jon, Bran and Daenerys are all here but by the half way point the timeline has caught up with Feast and we're dovetailing between nearly all the major characters. And it's at that point the dance truly begins. The first half of A Dance With Dragons is not the ponderous trudge that Feast felt like but it still lacks the genuine excitement of the previous books. But where Feast never let its hair down Martin lets fly with Dance by the end. The chapters start to flow into each other and you get caught up in the magic of it all once more. Martin's great trick is to draw you in with the mundane before hitting you unexpected violence. There's plenty of that in Dances, quiet then loud. But the loud is saved until the final third and there will be plenty of criticism of Martin for telling too much about characters we've never met before. That the pages could have been full of the characters we truly love or those that are not included instead of these new creations. But without the depth we wouldn't understand the choices. And that's the thing with Ice and Fire, you always know why someone does something because Martin does such a good job of getting inside the heads of the characters and draws them so brilliantly. Even those we love to hate. There are surprise inclusions, two big shocks and there are dragons. There is ice and there is fire. But, was it worth that mammoth six year wait? Some will say no. That this isn't what they wanted. That it's too meandering and there's not enough threads coming together. That there can be no way this is heading for a happy ending. But for many of us that's the joy of A Song of Ice and Fire. The lives on the pages feel real, precisely because the threads may or may not cross. They feel real because we know not all of the characters are going to live happily ever after. The world that Martin's created, a world that sits inside his head, feels as real and as rich as our own and over the course of five books the quality of the writing, the dark dark humour and the story telling have not wavered. Yes some of it isn't as exciting as it might have been. But arguably that just makes it feel more real. The Dance is finally over. Bring on Winter.